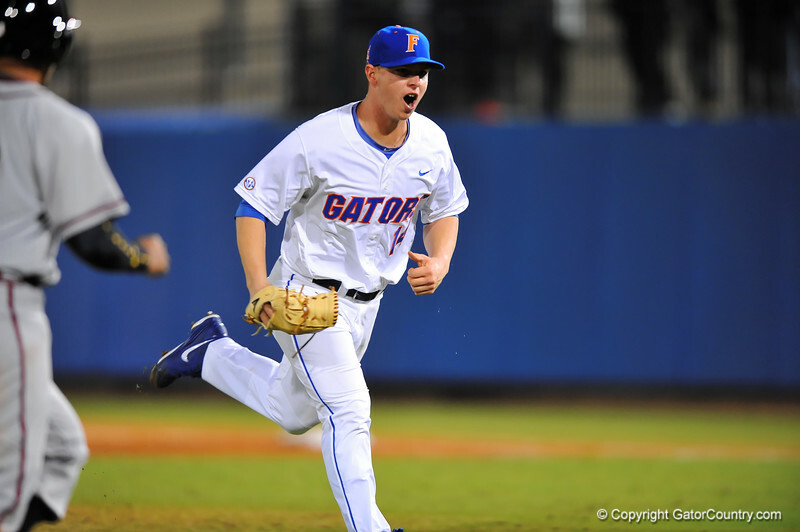 Florida LHP Bobby Poyner runs off the field pumped up after striking out the batter to get out of a jam in the second. Florida Gators vs Maryland Terrapins. Feb 14th, 2014. Gator Country photo by David Bowie.